Many Happy Returns to Lisa Bowerman - a long standing performer and director at Big Finish, best known for her portrayal of Professor Bernice Summerfield. We're celebrating with some special offers on selected Big Finish releases. To get these special birthday offers, head to page https://www.bigfinish.com/offers/v/lisa19 and enter access code LISABDAY to take advantage of the offer prices. Last year was particularly special as we celebrated 20 years of both Big Finish and Bernice Summerfield. There was a bonanza of releases including The Story So Far – not one but two box sets that featured adventures from across Benny’s timeline. Both of these box sets are now available their original pre-order price, or in a bundle offer for just £38 on CD or £28 on download. Also available at its pre-order price are several stories from the Benny archive, excavated and re-recorded in Bernice Summerfield: Treasury. Each of these tales from notable writers such as Steven Moffat, Ben Aaronovitch, Paul Cornell and Andrew Cartmel, is narrated by Lisa Bowerman. 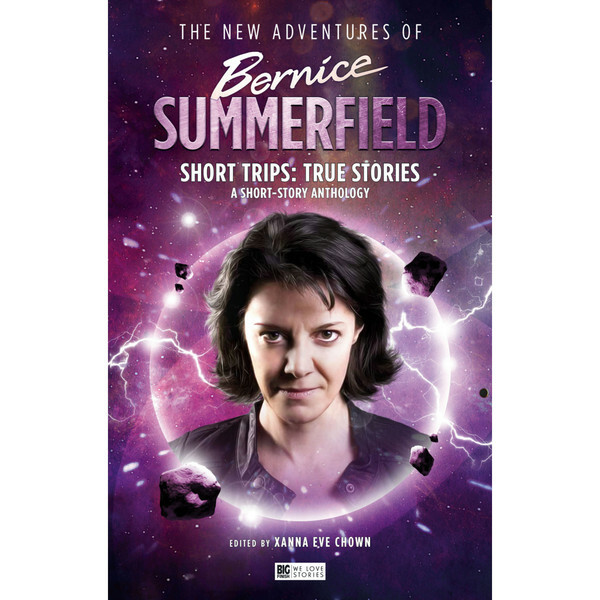 You can also get a collection of Bernice Summerfield short stories available as hardback, ebook and audiobook in True Stories. Bernice Summerfield: True Stories features six stories about everyone's favourite archaeologist with unusual digs, daring missions and more, all set in the Unbound Universe. The writers are Jon Blum & Rupert Booth, Xanna Eve Chown, Tim Gambrell, Matthew Griffiths, Kate Orman & Q, and Victoria Simpson. Bernice Summerfield: True Stories is available on audiobook at £7.99, on hardback at £14.99, or as an ebook at £9.99. Bernice Summerfield was also recently reunited with the Seventh Doctor and Ace, and taken into a different universe via the Unbound Doctor (played by David Warner). This adventure and all of the box sets in The New Adventures of Bernice Summerfield are now available on special offer – the perfect place to start if you’ve never travelled with Benny before. You can pick up each of The New Adventures of Bernice Summerfield box sets at £15 on CD or £12.50 on download. Lisa Bowerman has directed many productions for Big Finish such as Short Trips, The Early Adventures, The Companion Chronicles, and Torchwood. And she has also played numerous roles outside of Benny. You can hear her as Ellie in Jago & Litefoot, and most recently she’s been part of the incredible cast of King Lear, starring David Warner in the eponymous role. King Lear is on special offer now at just £10.99 on CD or £9.99 on download. Let’s raise a glass to Lisa! We hope you have a wonderful day!